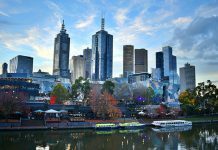 Melbourne is often hailed as one of the world’s most liveable cities, but is it as good for travellers who are just visiting as well? After a recent Melbourne family trip, we’ve decided that the answer is a big ‘YES’! 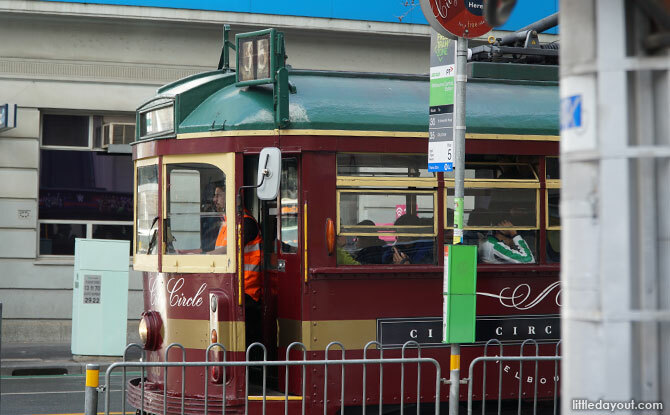 Over five days, we discovered that Melbourne has so much to offer, including some surprises we didn’t expect. 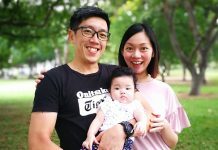 Here’s how we spent our holiday in Melbourne. The first day in Melbourne was spent exploring the city. 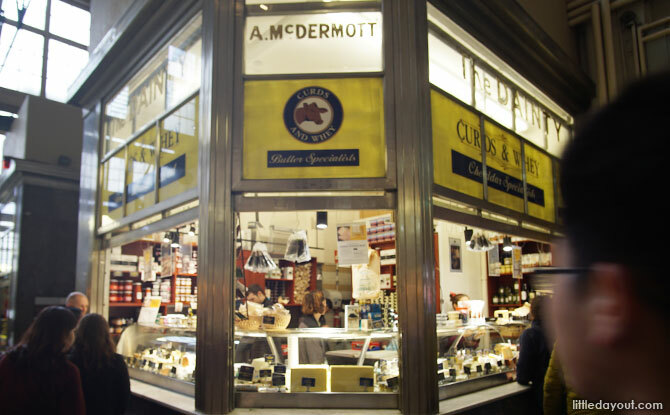 Popular sights include Queen Victoria Market, the Melbourne Museum and Royal Botanic Gardens. However, the kids decided the first destination was going to be the Melbourne Zoo. 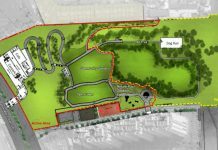 The zoo is just 4 km north of the city centre. 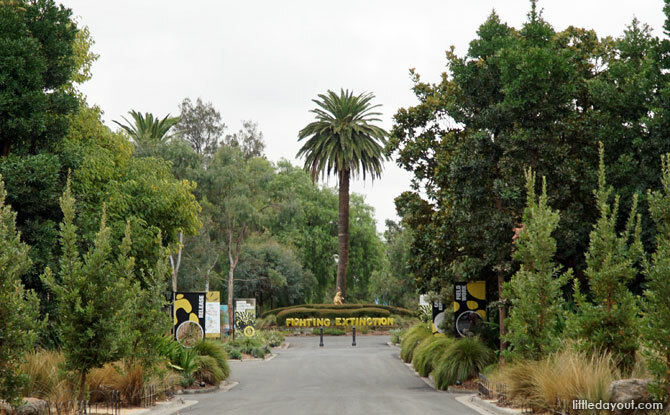 Officially known as the Royal Melbourne Zoological Gardens, it opened in 1862 and is the oldest zoo in Australia. 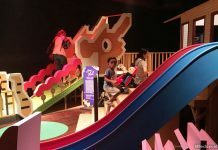 Stepping through the zoo’s Main Entrance, we gravitated to the meerkats exhibit and immediately discovered one of the nice features of the Melbourne Zoo – play elements for kids located side by side with the animal exhibits. 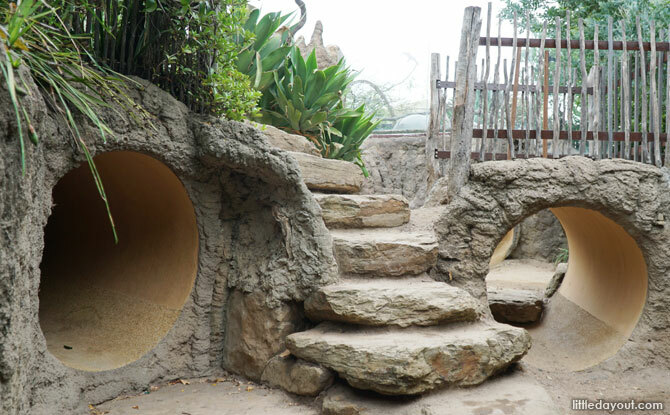 Just beside the meerkats exhibit was a set of kid-sized tunnels where kids could pretend to be burrowing meerkats too! 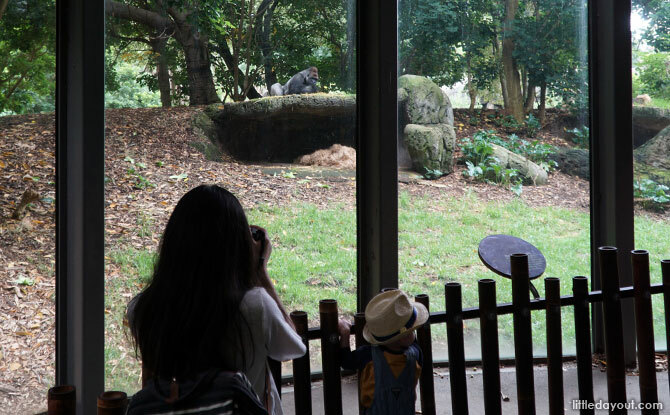 There was plenty for the children to see and explore around the zoo’s thematic zones – Gorilla Rainforest, Trail of the Elephants, Australian Bush, Frogs & Reptiles, Lion Gorge, Wild Sea and Growing Wild. The kids’ favourites ended by being the Australian Bush and Lion Gorge. 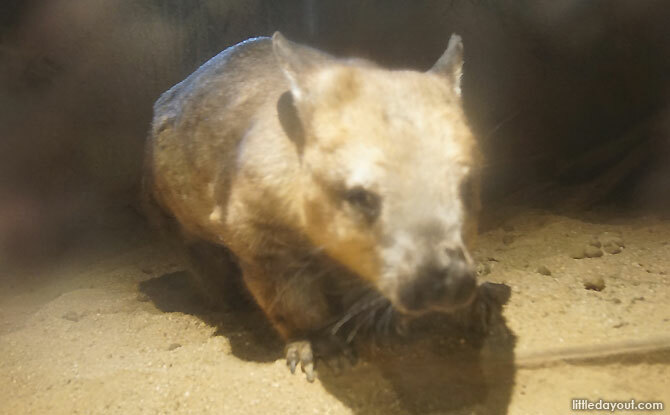 Look out for the wombats at the Australian Bush zone. It was no surprise the cuddly-looking koalas and big round wombats stole the show at the Australian Bush zone. 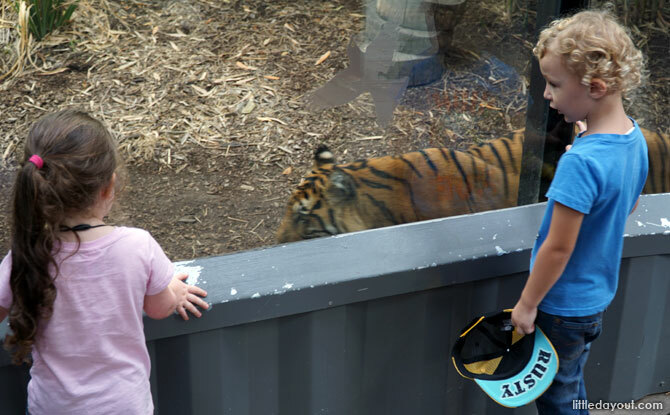 Press noses with a Sumatran tiger at the Melbourne Zoo. At Lion Gorge, we got a good look at the pair of male lions and a snow leopard at Cat Alley. We also got to see a Sumatran tiger strutting up and down, just inches in front of us, behind a glass window. 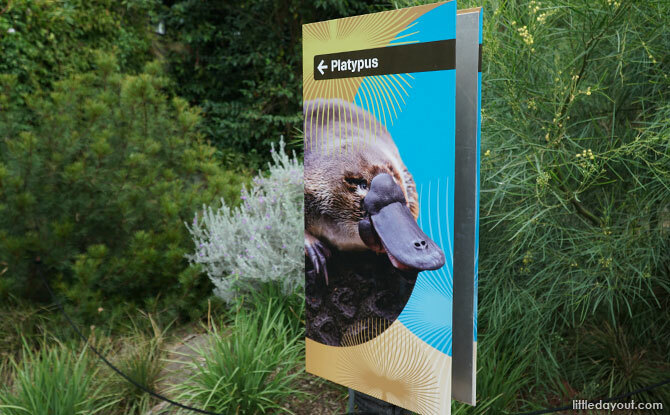 Special mention goes out to the platypus exhibit. We enter the darkened enclosure where we watched the mesmerising duck-billed, web-footed mammal swimming through the water. After an animal-filled morning at the zoo, we headed back to the heart of the city. Next on our itinerary was the Old Melbourne Gaol on Russell Street. 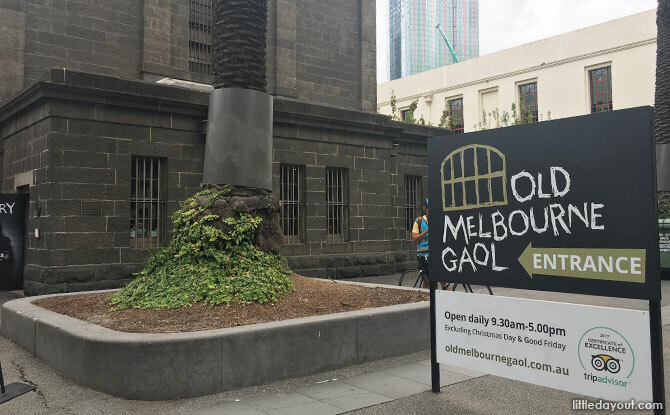 The Old Melbourne Gaol operated from 1842 to 1929. Today, it is mainly the cellblock that remains. It is most infamous for being the place of execution of Australia’s most notorious criminal, bushranger Ned Kelly. In total, 133 hangings were carried out at the gaol. Inside, there are three floors where you can walk along the same corridors that prisoners once roamed. 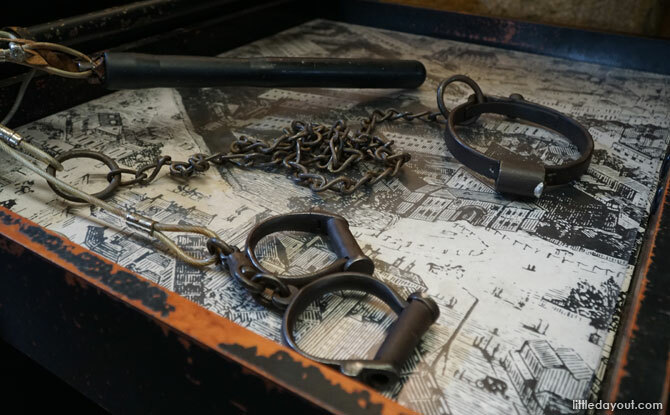 Visitors can interact with heritage items at the Gaol’s Touch Trolley. 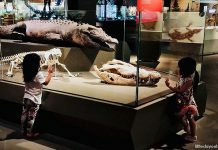 The museum may seem a bit scary for younger children but our older one took a keen interest in the museum. 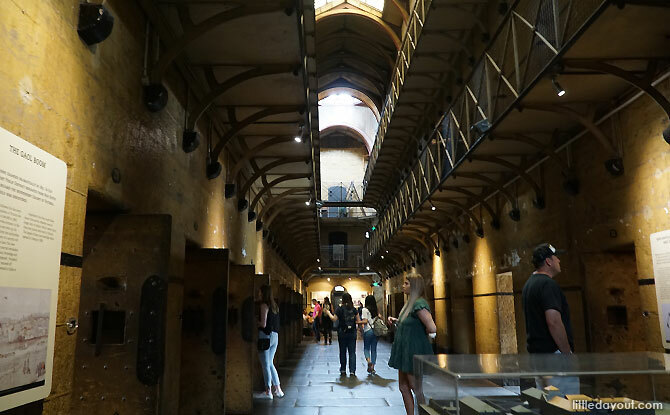 He went from cell to cell, reading about the stories about the men and women who were imprisoned, and who lost their lives, in the Old Melbourne Gaol. What made the stories even more real that death masks of those executed were placed in the cells where they had been imprisoned in. 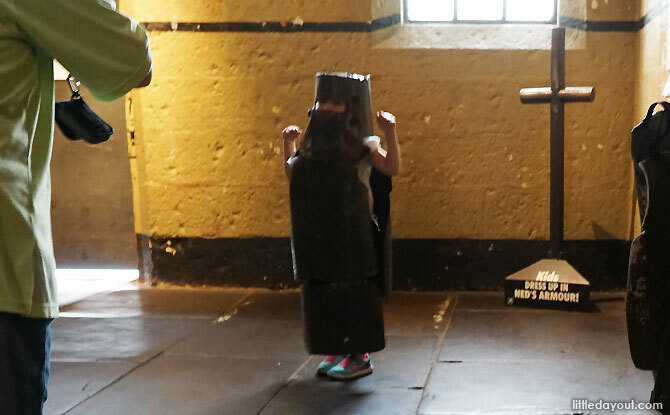 Kids can dress up in a Ned Kelly costume at the Melbourne Gaol. Younger kids fascinated by the legend of Ned Kelly can dress up in kid-sized Ned Kelly armour costume. 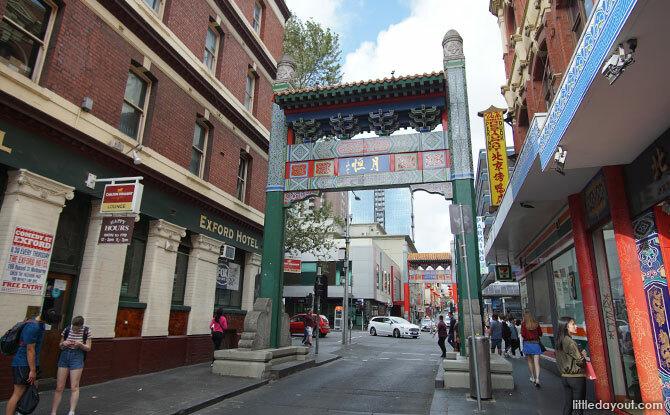 From Old Melbourne Gaol, it was a 10-minute walk down to the bustling centre of the city and Melbourne’s famous Chinatown along Little Bourke Street. 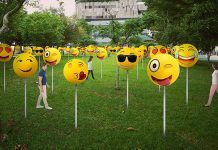 It is enjoyable walking along the streets and being tempted by the mix of trendy-looking cafes and shops that line the streets of Melbourne. 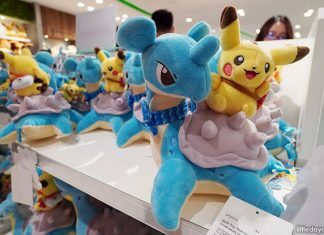 We popped into Target in Chinatown, where the retail mix had something to satisfy everyone in the family. Still feeling energetic, we ventured down towards the Yarra River. 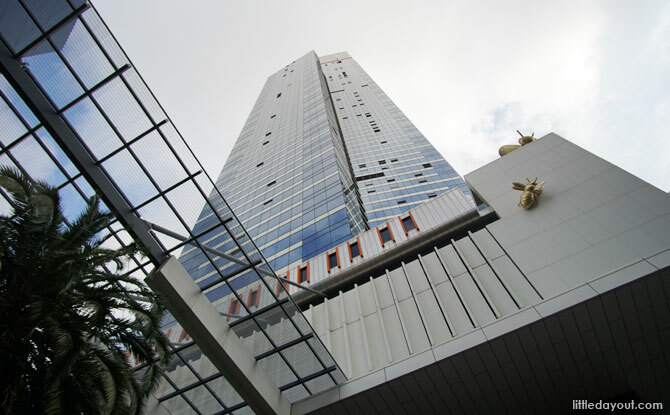 Opposite from the Crown Entertainment Complex is the SEA LIFE Melbourne Aquarium. 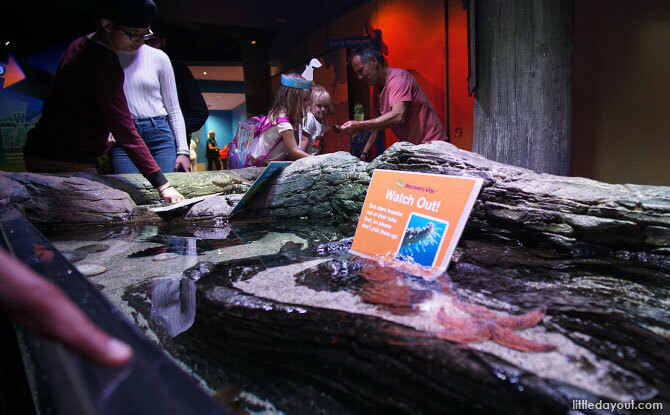 As we’ve always enjoyed aquariums as a family, we decided to pay it a visit. Touch pool at the SEA LIFE Melbourne Aquarium. The SEA LIFE Melbourne Aquarium is great for kids. Inside, there were tanks of colourful fishes. There was a rock pool where we could touch empty shark egg cases and kids could crawl through underwater tunnels. One of our favourite spots at the aquarium was the Mermaid Garden. 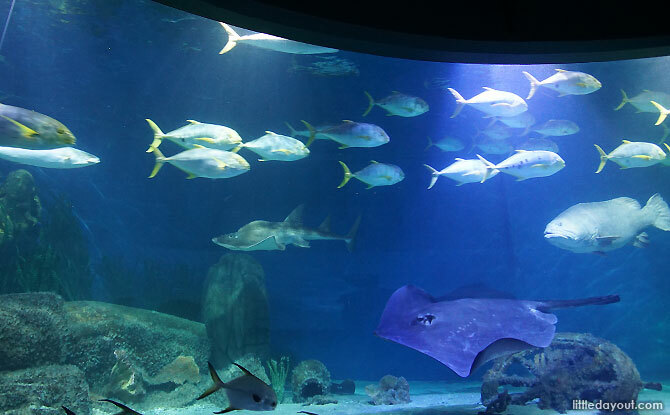 This 2.2 million litre Oceanarium has swimming schools of fish, sharks and other marine creatures. A snappy resident of SEA LIFE Melbourne. 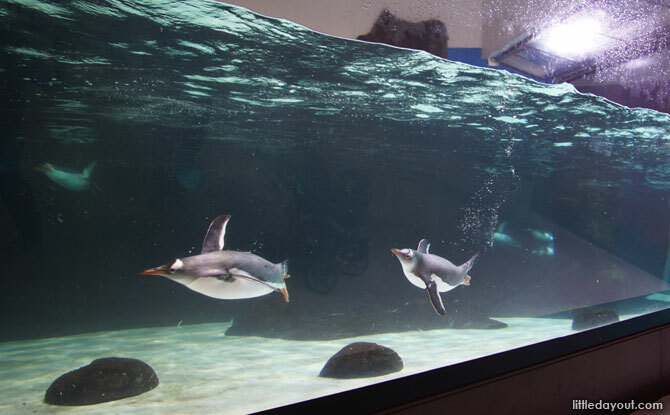 Penguins “flying” through the water. 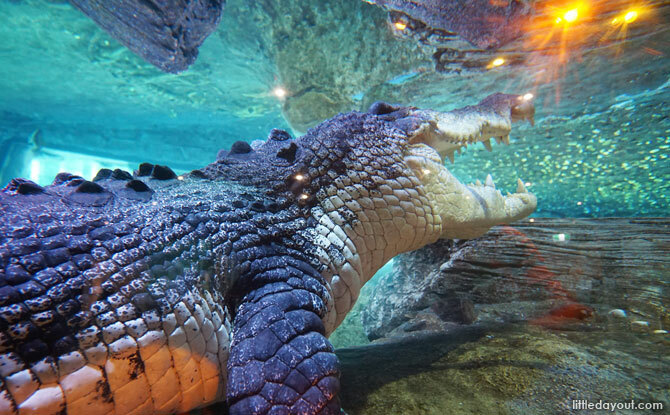 Besides fish, other marine animals at SEA Life Melbourne include crocs, amphibians and a colony of penguins. 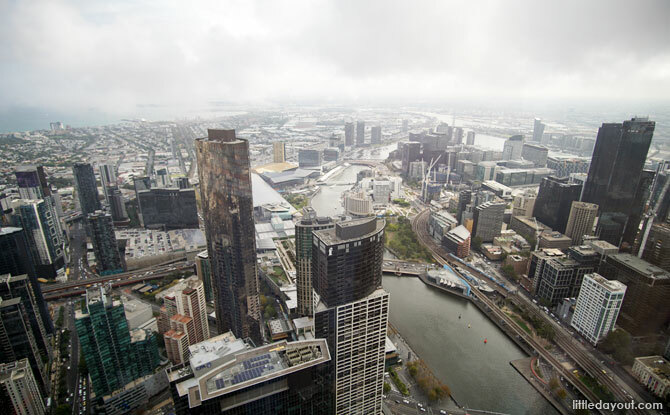 To cap off the first day, we headed across the Yarra River to the Eureka Skydeck where we took in stunning views of the city from the 88th floor. View of Melbourne and the Yarra River below. We were so high up that we spotted a helicopter flying at the same altitude as we were at! 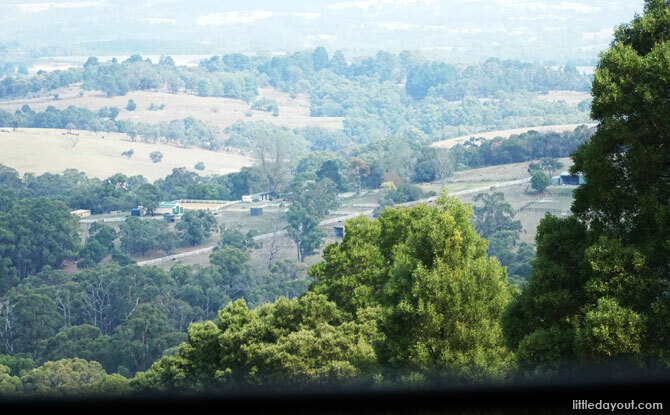 The next day, we left the city for a day trip to the Dandenong Ranges. This set of low mountain ranges is about an hour’s drive, roughly 35 km away from Melbourne city. 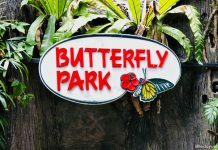 The lush hilly landscape is filled with nature experiences, small towns with quaint shops to explore. 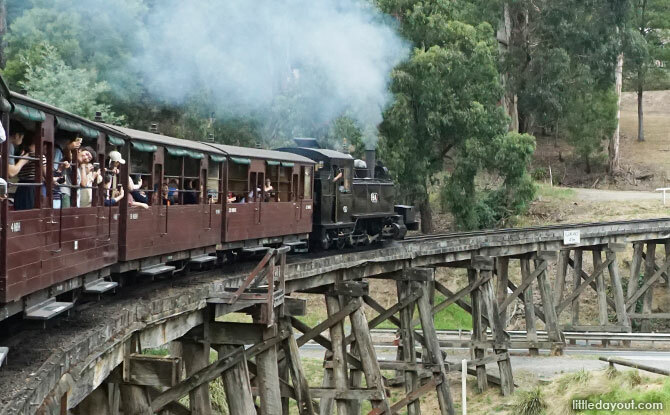 We had booked tickets on the Puffing Billy Railway, one of the top attractions at the Dandenong Ranges. However, before embarking on the train ride, we paid a visit to Jay Berries, one of the many farms in the area. 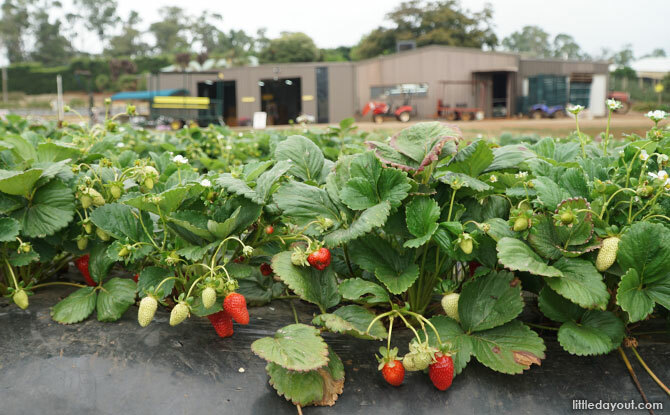 As a U-PICK farm, Jay Berries is open to the public for fruit picking. 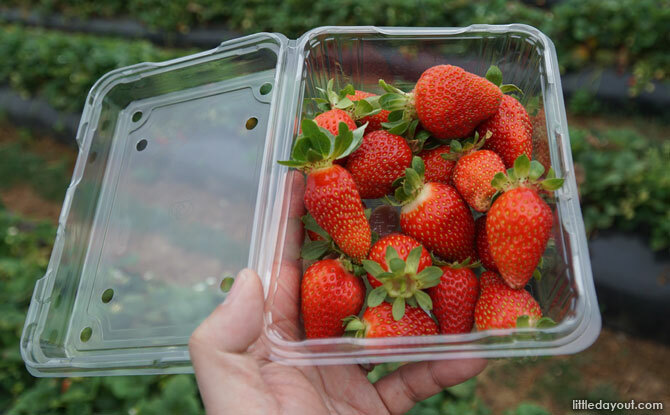 After paying a small admission fee, we armed ourselves with several empty punnets and headed out the strawberry fields. Fruit picked are paid for by weight. 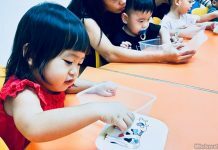 It was an eye-opening experience for both the kids and adults alike harvesting strawberries. 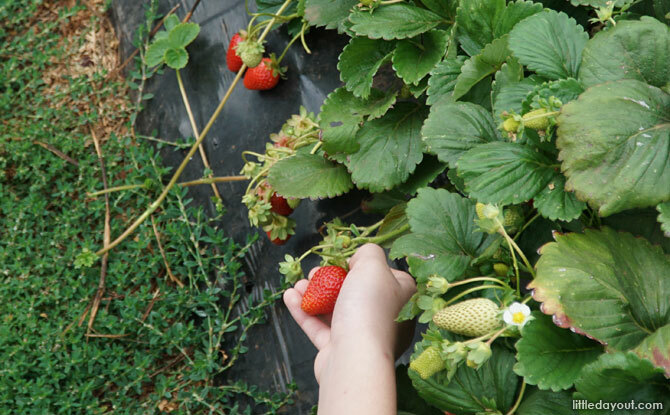 We had a lot of fun plucking the red and juicy strawberries from the low-lying plants – and was rewarded with a bounty of delicious fruit! 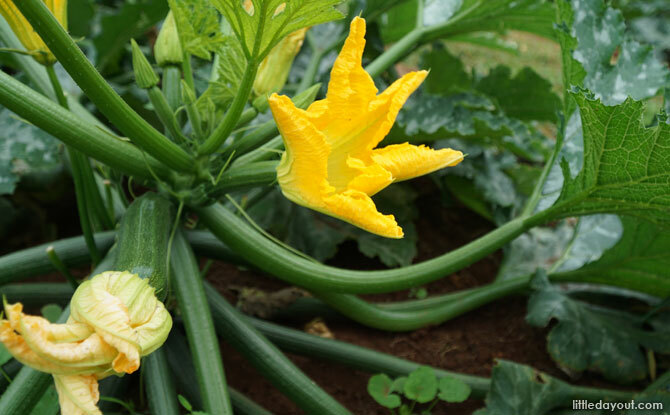 Besides strawberries, the farm also had raspberries and a vegetable patch with potatoes, lettuce, zucchinis and more. Before long, it was time to head over to the town of Belgrave for our ride on the Puffing Billy Steam Train. This historic steam train winds its way through the lush Dandenong ranges and provides picturesque vistas of the scenic landscape. We were fortunate that the Chief Conductor was riding in the same carriage with us. He entertained us with tales about the railway as we chugged through the countryside. It was good that we had booked tickets ahead of time as the train ride was very popular and there were tons of passengers on it. 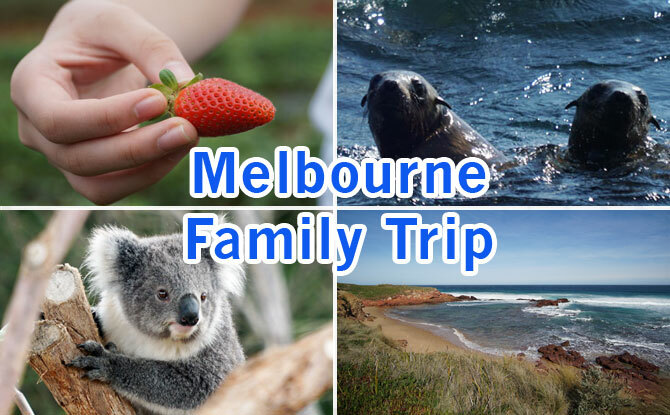 The third day of our Melbourne family holiday was a day trip out to Phillip Island. 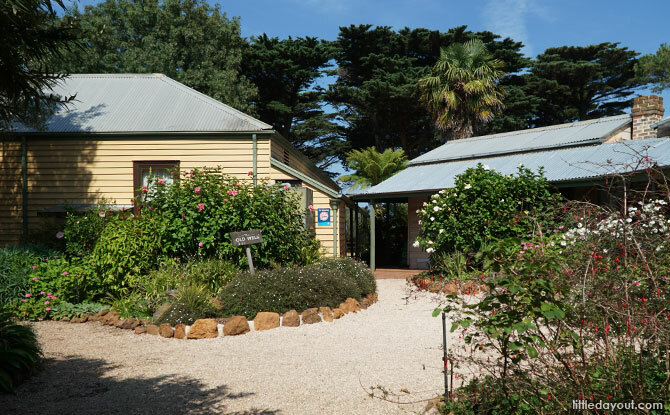 Although best known for its Little Penguins, Phillip Island also has many other attractions – too many to be done in a single day. 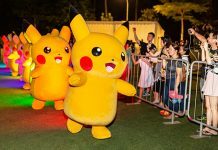 These include go-karting, mazes, mini-golf and climbing. 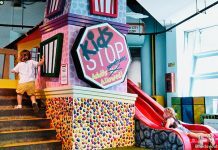 With our limited time on Phillip Island, we knew we had to be selective in choosing which activities to do. 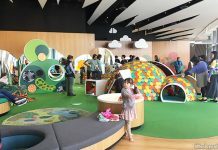 We decided on experiences what we could only do on Phillip Island – the Churchill Island Heritage Farm, Koala Conservation Centre, Eco Boat Tour, a visit to the Nobbies Centre and, of course, the Penguin Parade. Churchill Island Heritage Farm is the site of an early European settlement. As we walk around the preserved farmhouse and buildings, we felt as if we had been transported back in time. Inside the farmhouse at Churchill Heritage Farm. 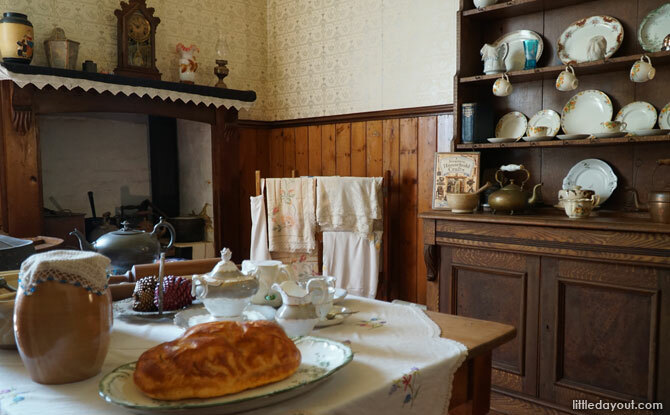 The interior of the main house looked as if the family was still living there and had just stepped out, providing an intimate look into the lives of early Australian settlers. 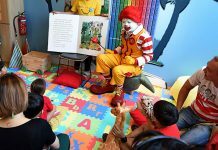 The big attraction for the kids at were the farm animals. 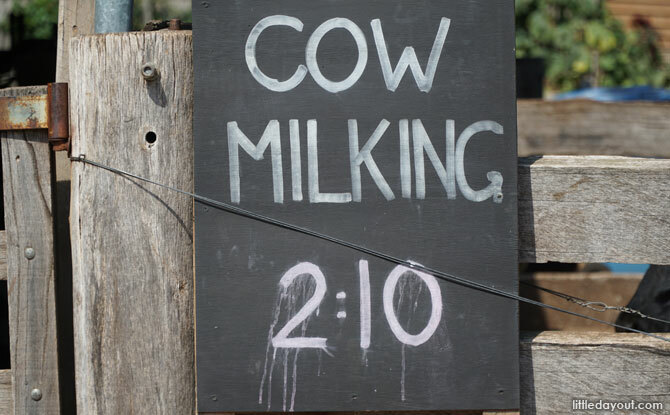 There were sheep, cows and chickens, being reared as they were back in the 1850s. 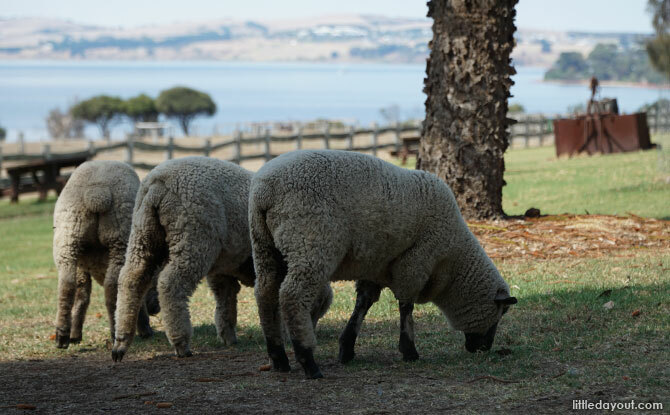 Churchill Island Heritage Farm also holds demonstrations and activities such as cow milking and sheep shearing in the afternoons. From domesticated animals, we moved on to native Australian animals – koalas. 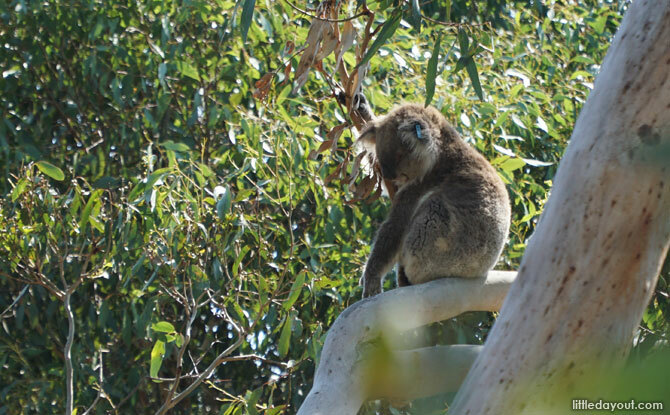 Phillip Island has a koala population that can be viewed in its natural habitat at the island’s Koala Reserve. Boardwalk at the Koala Reserve, Phillip Island. We ventured out into the eucalypt woodland at the Reserve in search of the animals in the wild. 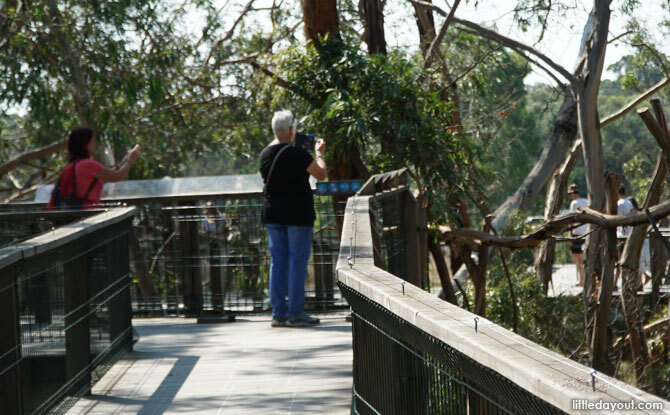 It didn’t take long to find them as two treetop boardwalks brought us close to these tree-dwelling marsupials. 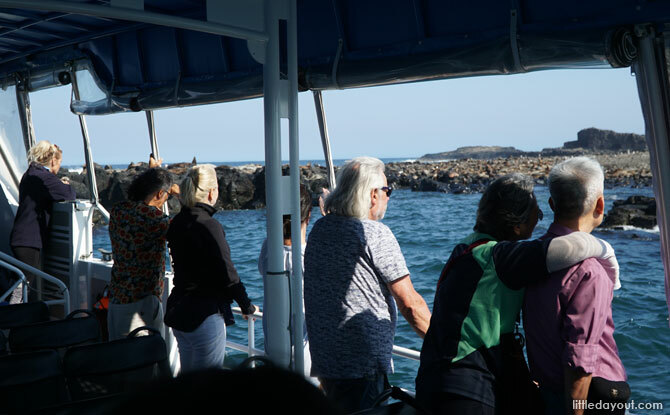 It was turning out to be an awesome eco-adventure on Phillip Island and next up was one of our favourite experiences – an eco-boat tour out to view Australian Fur Seals in their natural habitat. 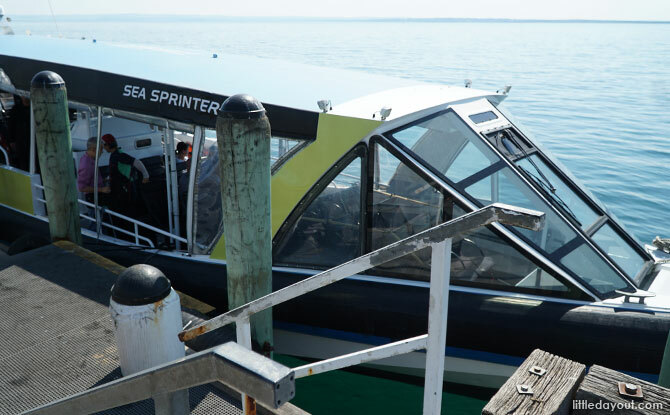 Sea Sprinter, the boat which brought us out to Seal Rocks. At Cowes, the main town on Phillip Island, we headed over to the jetty where the eco-boat tour starts. As we strapped ourselves into our seats, there was excitement in the air at the prospect of seeing Australia’s largest colony of fur seals. Seal Rocks, home to a large colony of Australian Fur Seals. We didn’t have to wait for long as the boat zipped through the water towards Seal Rocks, one km off the coast of Phillip Island. Viewing the seals on the Phillip Island eco-boat tour. 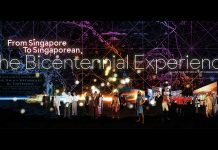 Visiting Seal Rocks is a truly multi-sensory experience. We could smell the seals before we even saw them. The boat had a special permit to get close to the protected rocks, and it brought us in for a close up look at these “puppies of the sea”. Seals in the water at Seal Rock. 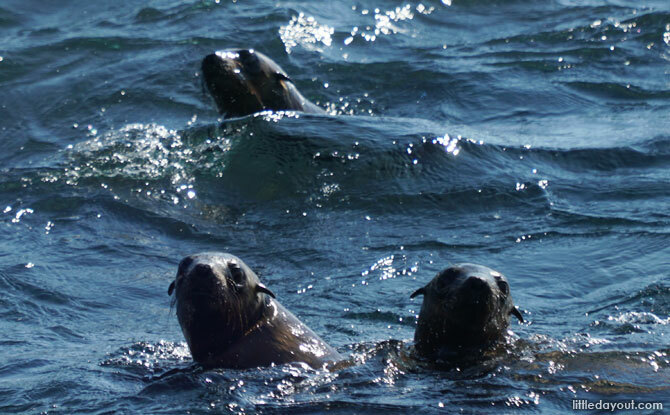 We could see the seals playing in the surf and also heard them crying out to each other. 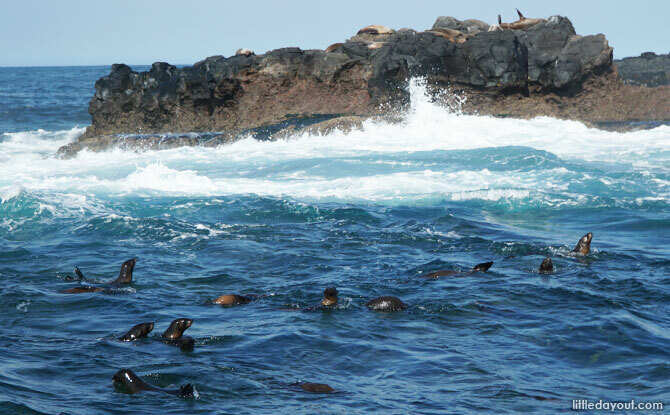 A visit to Seal Rocks is an unforgettable experience and highly recommended! Visiting the Antarctica exhibition at the Noobies Centre on Phillip Island. 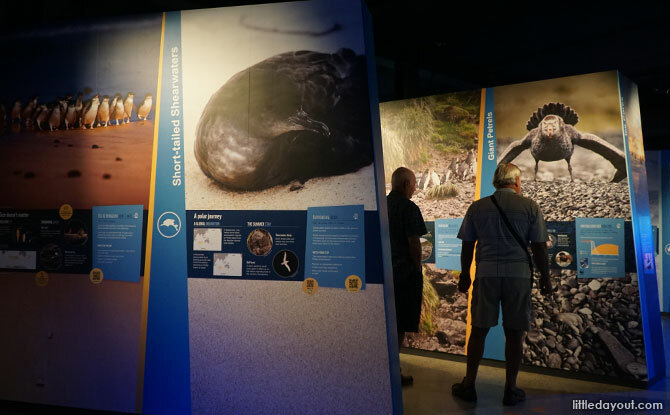 The Nobbies Centre is home to the Antarctic Journey, an informative exhibition about life in the icy Southern polar region. Close to the Nobbies Centre is the Penguin Parade, a highlight of any visit to Phillip Island. From the Penguin Parade’s visitors’ centre, we followed the boardwalk down to the beachfront seating area. It is best to call ahead to check what is the approximate times that the penguins arrive on shore as it varies from season to season. We joined the rest of the crowds waiting patiently for the Little Penguins to come ashore. 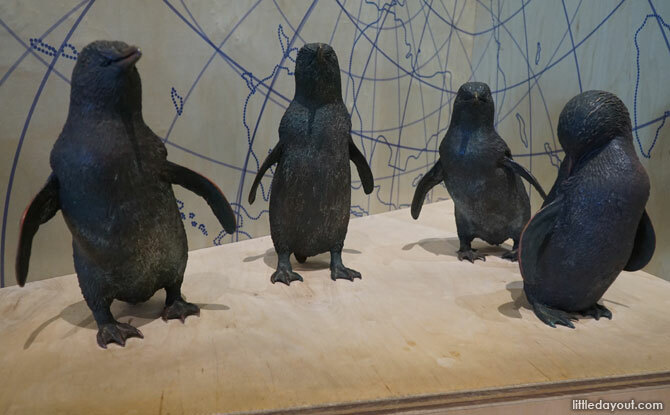 Standing at an average height of just 33 cm, Little Penguins is the small species of penguins in the world. No photos are allowed to be taken during the Penguin Parade. By the time we arrived, we ended up being seated towards the rear of the viewing stands. However, after the first set of penguins came up the beach, many of those in front started to leave. This allowed us to move forward for even better view of the cute Little Penguins making their way out of the water. As we walked back to the visitors’ centre, we were in for another treat. 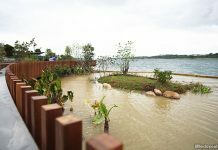 The boardwalk used by visitors runs along the same pathways used by the penguins to return to their burrows. This allows for a second, even more close up look at these petite wonders. It is hard not to be charmed by Phillip Island’s penguins and it is not surprising that so many people flock to see them every evening. It had been a full, but fulfilling, day out at Phillip Island. 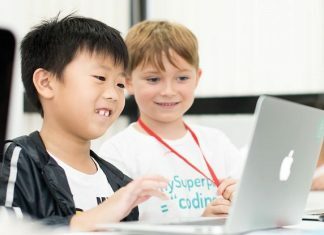 There were so many experiences to talk about as we made the two-hour drive back to Melbourne. Day 4: To the Market & Safari Time! 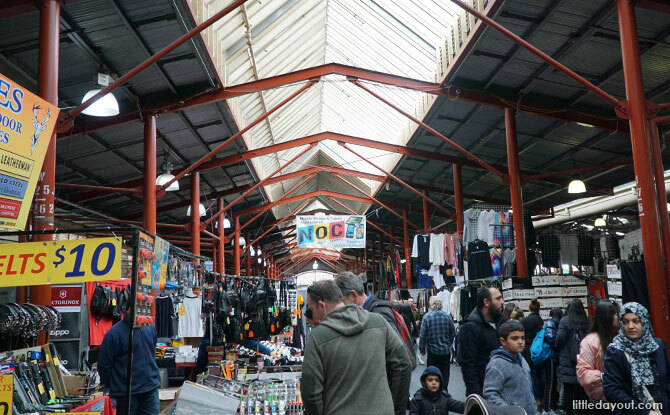 The weekends are the best time to visit Melbourne’s famous Queen Victoria Market. Market stalls open early and the atmosphere is bustling. 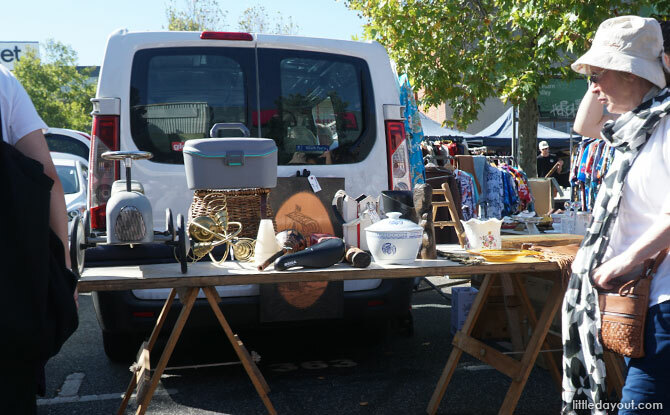 Being a Saturday, it was the perfect day to visit the QVM and we had an enjoyable walking around the stalls to view the fresh produce on sale – and picking up some food for breakfast. The kids especially enjoyed the row of cheese stalls in the market’s Dairy Hall. Outside Sheds H and I was one of the highlights of our visit to Queen Victoria Market – the American Doughnut Kitchen. 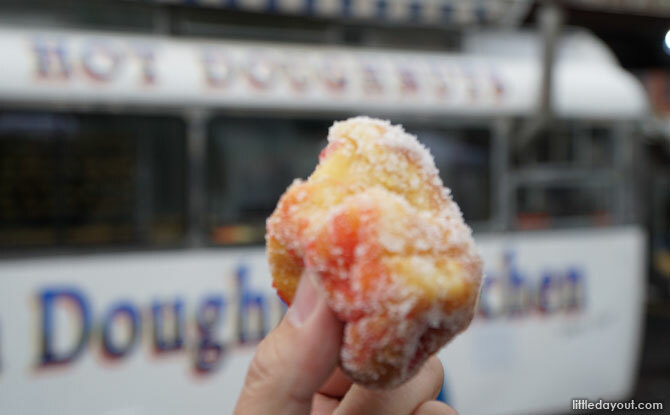 It is easily identified by the long queue beside the bus-converted-into-a-kitchen where doughnuts are freshly made. These hot, jam-filled doughnuts were an instant hit with everyone and well-worth the wait. 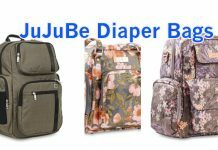 We only regret not buying an additional bag. 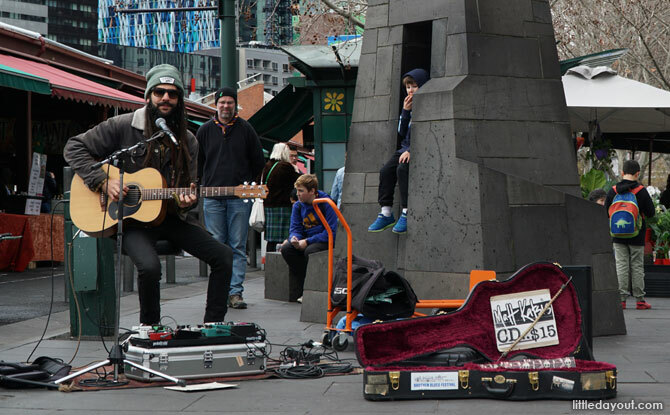 Buskers contribute to the lively atmosphere at Melbourne’s Queen Victoria Market. 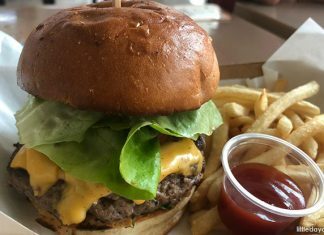 After filling up our tummies, we hit the road and headed westward, out of the city. 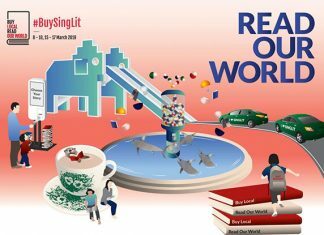 Our destination? 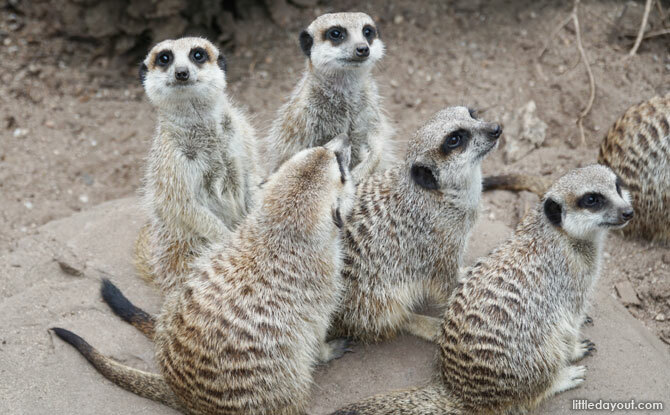 Werribee Open Range Zoo. 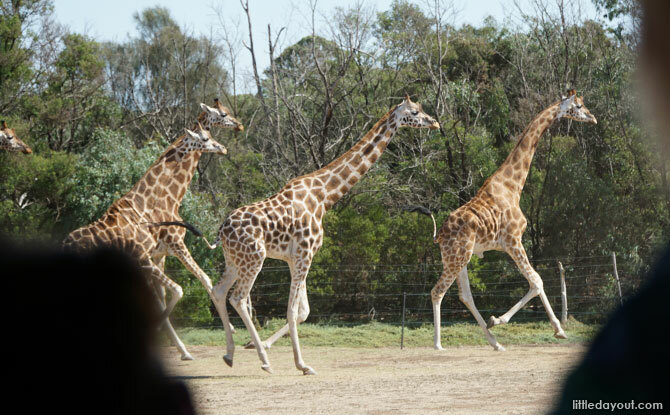 The Werribee Open Range Zoo is an African-themed wildlife park. 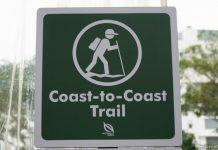 It consists of two walking trails and a safari bus tour. 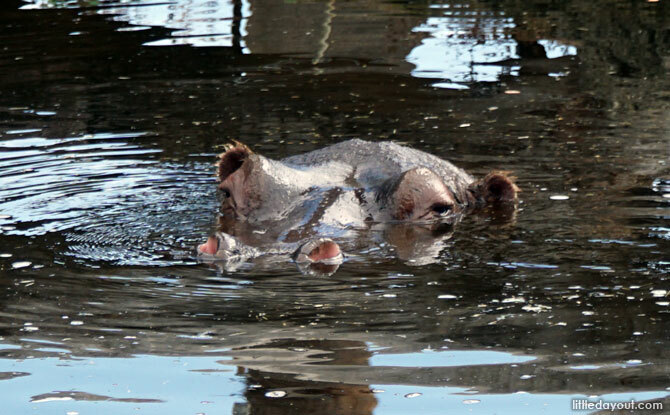 A hippo at the African-themed Werribee Open Range Zoo. Along the walking trails, we got to see primates, African wild dogs and even a hippo (well, mainly its nostrils when it came up for air). 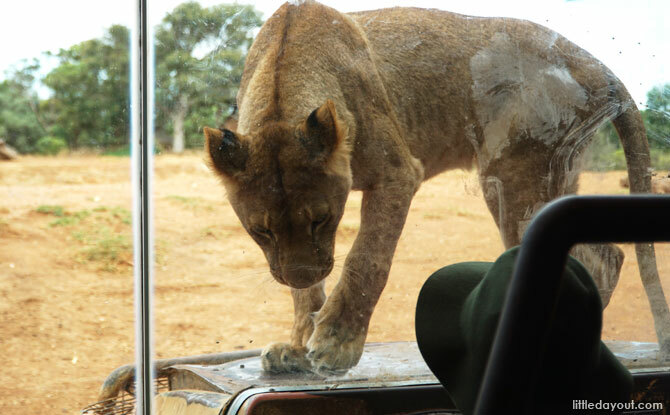 Lions on the Edge exhibit at the Werribee Open Range Zoo. A must-see exhibit was Lions on the Edge. We recommend attending the keeper talk but, even if you can’t, just the chance to view the pride of lions all together and interacting with with one another was simply awe-inspiring. Little did we know, the highlight of our African adventure was yet to come. 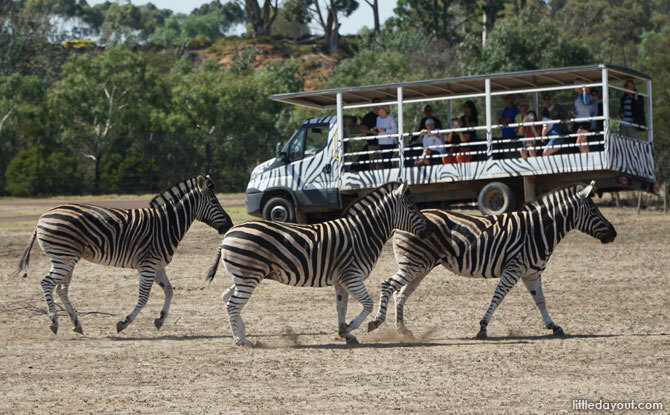 Werribee Zoo’s rhino-proof Safari Bus. 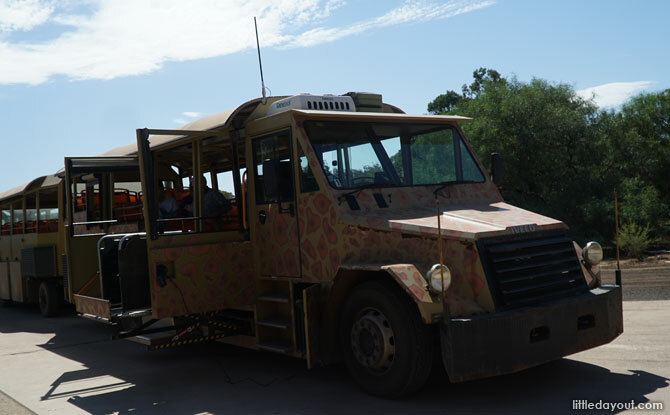 At the Safari Station, we bundled ourselves into a bus and off we went with a guide across the dry bushland on a safari. Along the route, we encountered bison, deer and longhorn cattle. 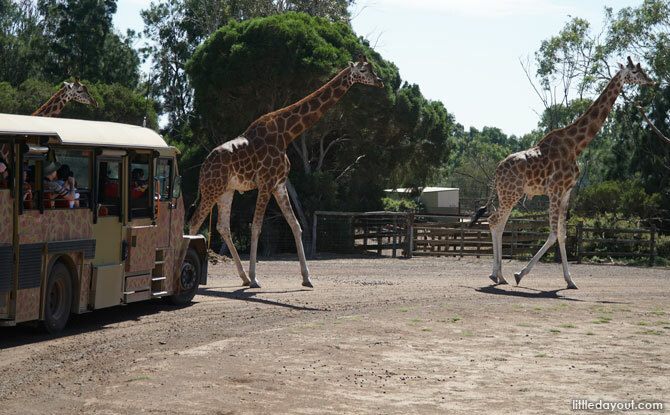 The largest enclosure on the safari tour is modelled after the savannah grasslands of Africa. Here, rhinos, zebras, ostriches and giraffes grazed together freely. 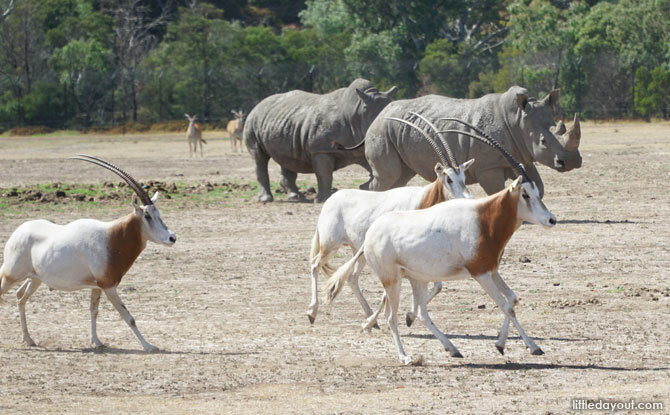 On the day of our visit, a herd of oryxes, a large species of antelope, had been introduced into the savannah enclosure and the other animals were feeling frisky. The bus ended up having to pause along its route because the herd of giraffes decided to give their new enclosure-mates a “welcome”. We watched in amazement as the giraffes galloped at full speed after the antelopes, sparking the zebras into a frenzy at the same time. 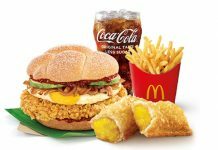 Very soon, we felt as if we were in a scene from Disney’s The Lion King as the circle of life swirled all around us. All too soon, we had reached the final day of our Melbourne family trip. However, we did still manage to find some time to pay a visit to the Camberwell Sunday Market before heading to the airport. A stall at the Rotary Camberwell Sunday Market. 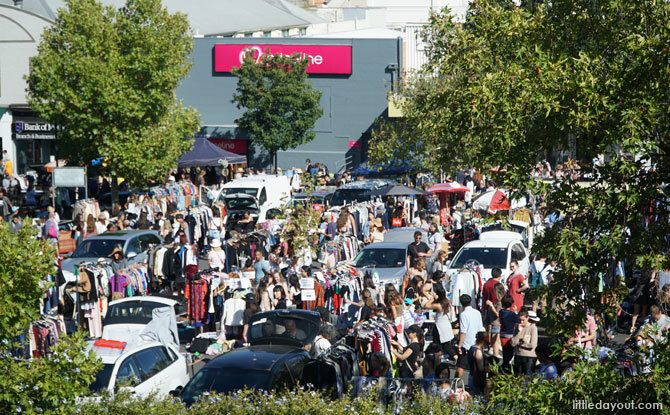 Organised by the Rotary Club, the Camberwell Sunday Market is takes place on Sunday morning and offers an eclectic mix of stallholders selling clothes, antiques, food and anything else you can imagine. 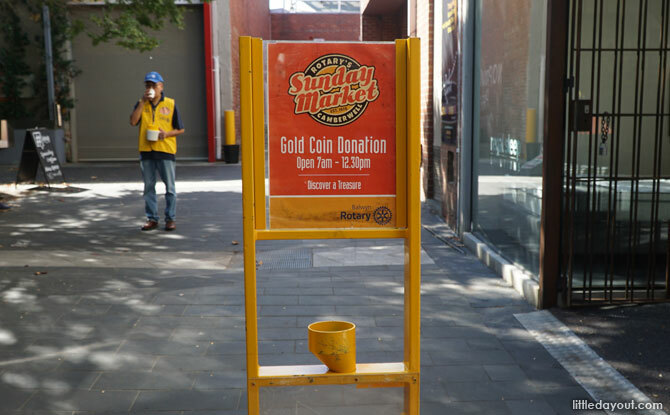 Donate a gold coin to enter the Camberwell Sunday Market. For the price of a gold coin, i.e. 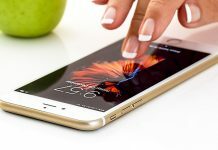 either a $1 or $2 Australian coin, you can spend hours browsing through the huge market. Cotton floss hot chocolate at Hash, a cafe at Camberwell. The Camberwell area also had several nice cafes and we wound up at Hash, a café with a made-for-Instagram cotton floss hot chocolate drink. 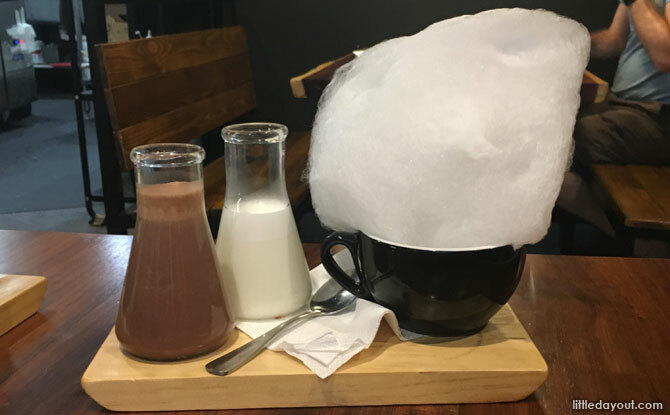 The hot chocolate comes served in a beaker and the kids had fun pouring it like a mad scientist over the cotton floss-filled cup. What a wonderful way to end off our Melbourne family holiday! 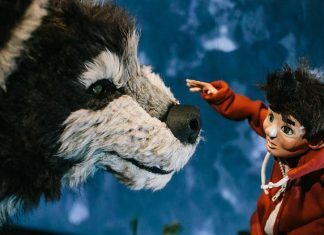 Thank you for such an marvellous and epic time Down Under! 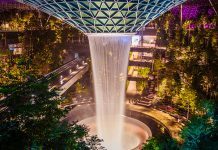 We booked our attraction tickets through online travel platform Klook. 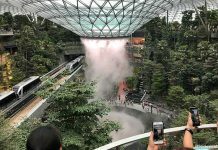 Here are the links to the various attractions we visited. 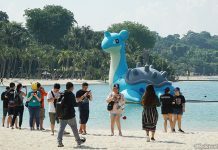 This feature story is brought to you in collaboration with Klook and contains affiliate links. 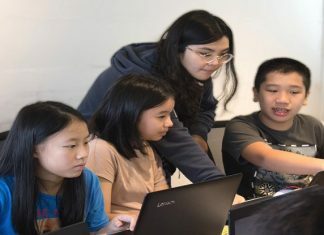 Lester firmly believes that it is not what you look at that matters, it is what you see. 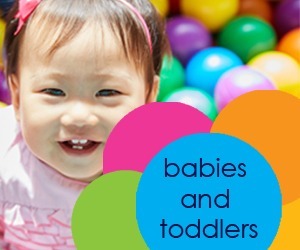 If you would also like to contribute to Little Day Out, contact us at hello@littledayout.com.